PC cases come in all shapes, sizes, and features—know which one is right for your needs. No matter whether you treat your computer as the centerpiece of your home office or just stuff it under your desk, buying the right PC case matters. At a minimum, you want to pick a PC case that’s the right size for your needs and has room for all your hardware and USB devices. But some PC cases offer much, much more. Spacious innards, lower temperatures, muffled sound, extensive water-cooling support, and fancy-schmancy tempered glass panels or RGB lighting are just the tip of the iceberg. Here’s a guide to buying a PC case that’s perfect for you. This is just the first step in your DIY journey; be sure to check out PCWorld’s guide to building a PC, too. Editor’s note: Last updated with the information in the PC case new section. A lot of the case action in the middle of 2018 revolves around manufacturers spreading successful design schemes further into their lineups. Corsair struck gold with the thoroughly tempered glass Crystal 570X RGB ($170 on Amazon), then spent the first half of this hear taking it smaller and much, much, much bigger in the Crystal 280X RGB ($160 on Amazon) and monstrous Obsidian 1000D ($500 on NeweggRemove non-product link), respectively. 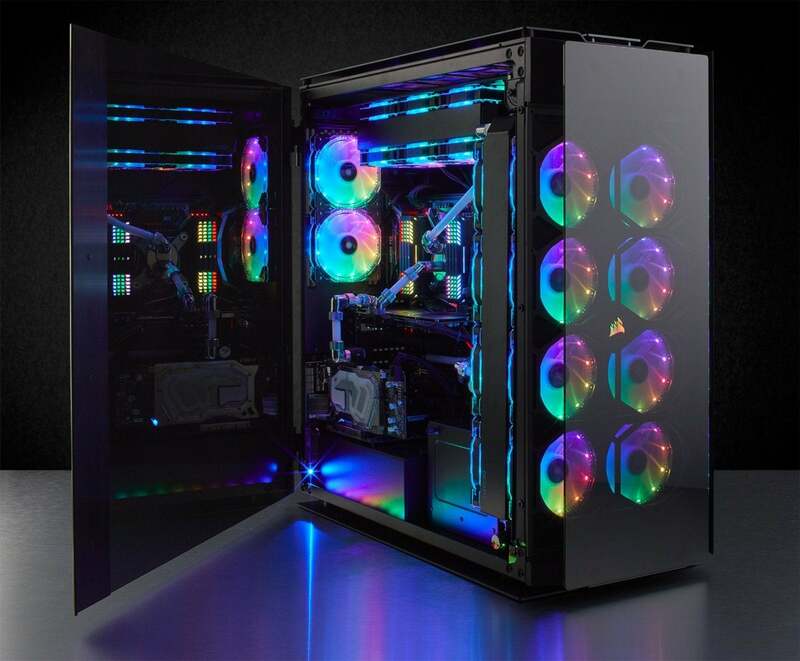 Corsair also released the Carbide Spec-06 ($80 on Corsair.com) in July, which brings similar flair—like a tempered glass side and RGB accents—to the more mainstream Spec series of cases. 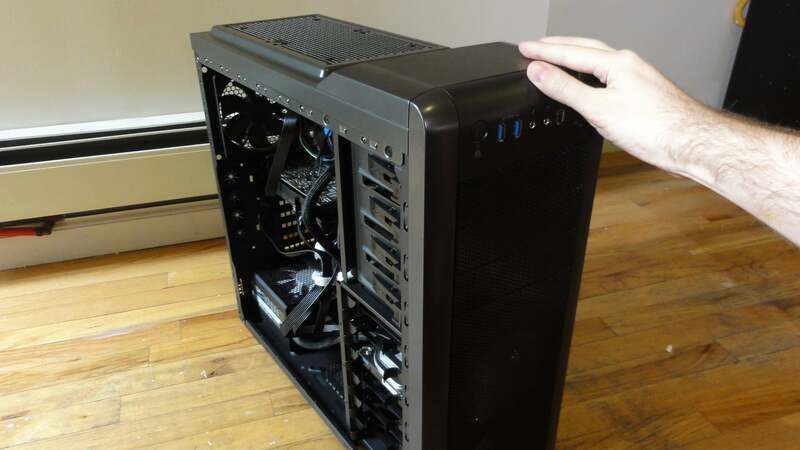 Corsair's huge dual-PC Obsidian 1000D case. Likewise, NZXT expanded on the success of 2017’s pretty, yet pricey H700i with the introduction of the H500i, which brought its bigger brother’s clean design and impeccable cable management below the $100 price point. It’s great. NZXT also introduced a $70 non-“I” version of the case that lacked an integrated Smart Device and some other optional features, then soon rolled out non-“I” versions of the H700, H400, and H200 as well. Cooler Master revealed the MasterCase H500 on July 3 ($99 on NeweggRemove non-product link). It’s a pared-back version of the popular Cooler Master MasterCase(s) H500P and H500M, but still boasts the massive RGB-illuminated 200M front fans that the series is known for. Before anything else, decide what size case you need. There are three major case sizes: Full tower, mid-tower, and mini-ITX. Full-tower and mid-tower cases both fit standard ATX motherboards—by far the most common motherboard size out there. Both can also fit smaller micro-ATX motherboards. Exact sizing varies from case to case, but most mid-towers run up to roughly 18 inches high and 8 or so inches wide. 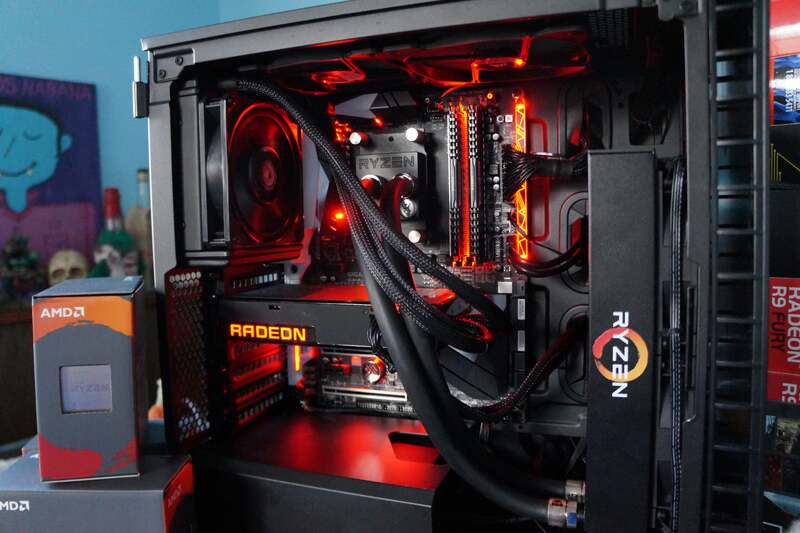 Mid-tower PCs are probably the most common form factor and have enough room to fit systems with a closed-loop CPU cooler, a couple of graphics cards, and a lot of storage. Also consider a full-tower case if you plan on loading up your rig with extensive (or custom) water-cooling, storage galore, or 3- and 4-way graphics card setups. Full-tower cases often support more fans and 5.25-inch drive bays as well. And the extra elbow room sure is nice during building. Mini-ITX cases are the polar opposite of full-tower PC cases, built for diminutive mini-ITX motherboards. Some of these can be wondrously small and even fit inside home theater cabinets, but the tight quarters can create compatibility issues with some hardware. Don’t expect to use liquid-cooling or a big honking CPU cooler in most mini-ITX cases. Some mini-ITX cases don’t support full-length graphics cards, either; confirm the maximum length before you buy. Finally, there isn’t much room for extra hardware in these space-constrained chassis, so you’ll be limited to fairly basic system configurations. They’re great for schlepping to LAN parties, though! The Bitfenix Portal puts a unique spin on mini-ITX cases with a design derived from Valve’s beloved Portal game. Sometimes you’ll see “mini-tower” cases, which slot between mini-ITX and mid-tower in size to accommodate micro-ATX motherboards. They’re rarer than the others. Once you’ve decided how big of a PC case you need, the next step is figuring out your budget. If you’re spending $50 or less, you’re probably going to wind up with a bare-bones, nondescript case with few extra features. These cases will cover the basics but don’t offer much more. Try to pick one that has two fans, one in the front of the case and another in the rear, for maximized air-flow, which helps cooling. You won’t always find the option in this price range, though. One of the best budget PC cases I’ve built in is Deepcool’s Tesseract ($50 on NeweggRemove non-product link). This affordable mid-tower has decent elbow room, the aforementioned duo of case fans, and plenty of drive bays—though it won’t fix extra-long graphics cards like the beastly Asus Strix. That’s solid for the price. We’ll talk about more recommendations toward the end of the article. Things open up in the $50 to $150-ish price range, which has seen a lot of advancement over the past few years. You’ll find a lot of variance in both design and construction in the midrange. As always, be sure to check measurements to ensure your desired PC case can fit all your hardware, but you’ll also want to keep an eye on extra features. They’re a lot more common in this price range, especially as you move up in cost. The lack of 5.25-inch drive bays let you cram a lot of powerful hardware inside the Corsair Carbide 400C. Features purely come down to personal preference or specifics needed for your build. 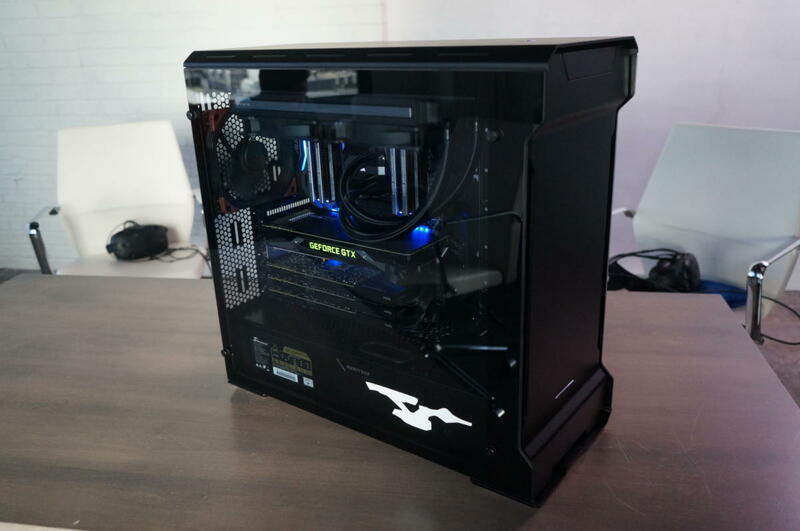 Some cases are built with more fans for higher performance; others focus on silent design. Some, like the Corsair Carbide Clear 400C ($90 on Amazon) we used in PCWorld’s all-purpose Ryzen 5 1600X build, even eliminate 5.25-inch drive bays completely for better airflow. You’ll start to find water-cooling compatibility worked into some cases in this price range, along with better cable management details, tool-less design, and aesthetic niceties like RGB lighting or tempered-glass side panels. We’ll get into feature details shortly, but around $100 is the sweet spot for price-to-performance when it comes to buying a PC case. 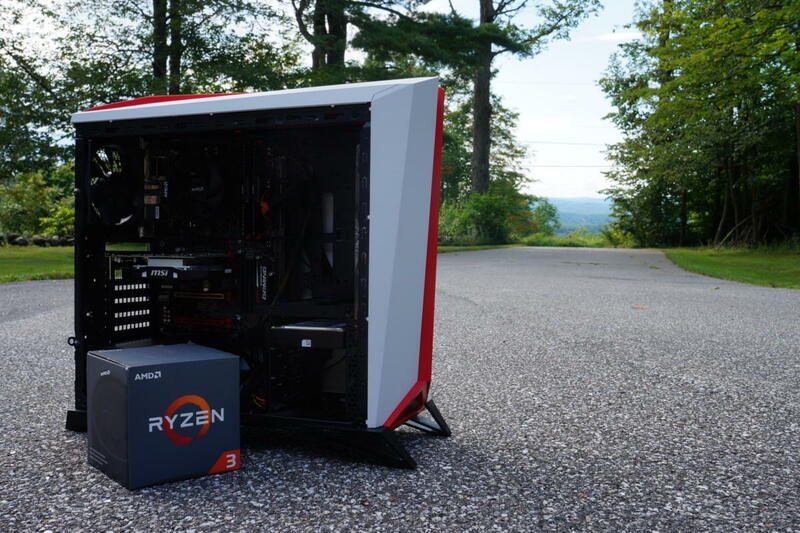 Once you extend beyond $150 or so, you should expect a PC case that excels in both performance and acoustics, and one that comes with connectivity options and handy features galore. Some of them are huge; this is where you’ll find most full-tower cases. Build materials tend to be swankier in high-end cases, with aluminum and tempered glass being much more common than in budget and mid-range cases. 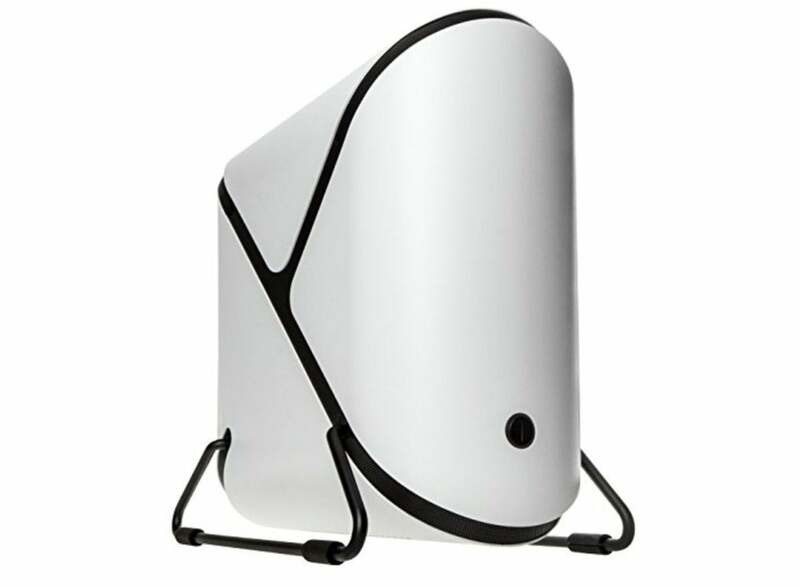 You’ll also find wild concept cases like the motorized In Win H-Tower, which opens like a flower (video above), or the racing car-esque Cougar Conquer ($350 on Newegg). Be mindful when you’re buying a PC case that doubles as a funky flagship, though. They oftentimes sacrifice functionality for their exotic forms. Make sure you like the look of the PC case you’re buying! You’re going to be staring at it for years to come, so this is not a superficial consideration. 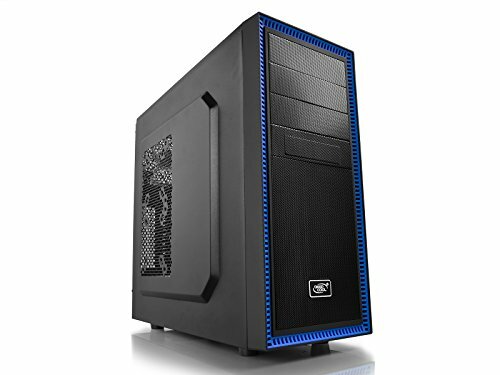 Every online retailer shows PC cases from multiple angles on their store pages, so there’s no excuse for buying ugly. PC cases come in all sorts of colors, materials, and designs. If you don’t want to spend time neatening up your interior cabling, pass on cases with a side window. This case has a side window but I took off its whole side panel for this picture. Aside from the basic dimensions and price, feature support is the biggest differentiator when you’re buying a PC case. The more you spend on your case, the more goodies you’ll receive. Here’s a quick rundown of many of the features you’ll find in modern PC cases, starting with practical extras before delving into nice-to-haves that, well, are nice to have. 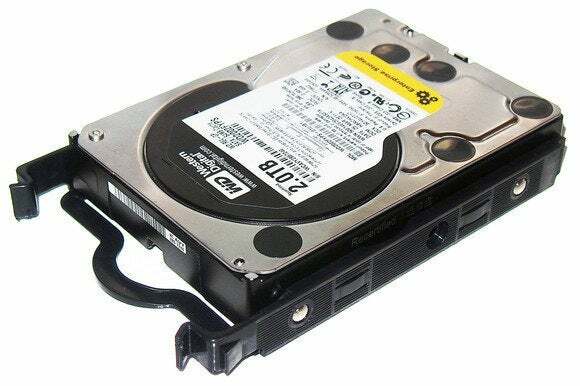 Drive bays and SSD mounting points: As we’ve mentioned a couple of times before, make sure a PC case has enough 2.5-inch and 3.5-inch drive bays to house your storage drives. Some cases include mounting points for SSD on the rear of the motherboard tray, too. And if you need a 5.25-inch bay in the front of your PC to house an optical drive, fan controller, or whatever, confirm your case includes that. A number of cases have been ditching 5.25-inch bays to improve airflow from the front-side fan(s)—most notably several Corsair cases. Some cases come with tool-less brackets that make mounting hard drives really easy. Tool-less design: In ye olden days, practically everything in a PC case required a Phillips screwdriver. No more. Tool-less design is nearly universal in mid-range and high-end cases, with thumb screws for internal fastening and twist-on, snap-on, or otherwise tool-free mechanisms in drive bays. Cable management: Look for a case with cut-outs in the motherboard tray, which allow you to route your cabling through the rear of your case. Out of sight, out of mind. Budget PC cases tend to have simple giant holes punched in the motherboard tray, while mid-range options frequently include rubber grommets in the holes to tidy things up even more. Some cases include tie-off points or even wire covers behind the motherboard tray to keep your cabling clean.